Our mini slim rubber metallic grinder is the perfect tool for breaking up dry herbs on the go. 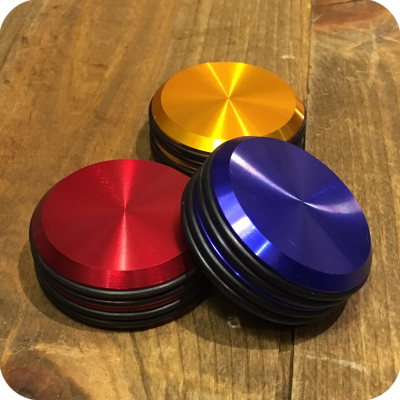 The dimensions of the grinder are about two inches wide, by one inch tall, making this grinder our slimmest one in store. Not to mention one of our cutest! Each side of the grinder has black rubber bands for easy gripping and twisting. Grinding dry material has never been sleeker nor simpler! Inside this mini slim metallic grinder are rows of sharp teeth as well as a magnet keeping the top and bottom together. The curved rhombus-shaped teeth of this grinder makes it unlike any other. Its brilliant design ensures a thorough and smooth grinding experience, thus creating a more enjoyable smoking experience. The simplicity of this grinder is perfect for any at home or on the go use. This little guy loves to be taken out and about. 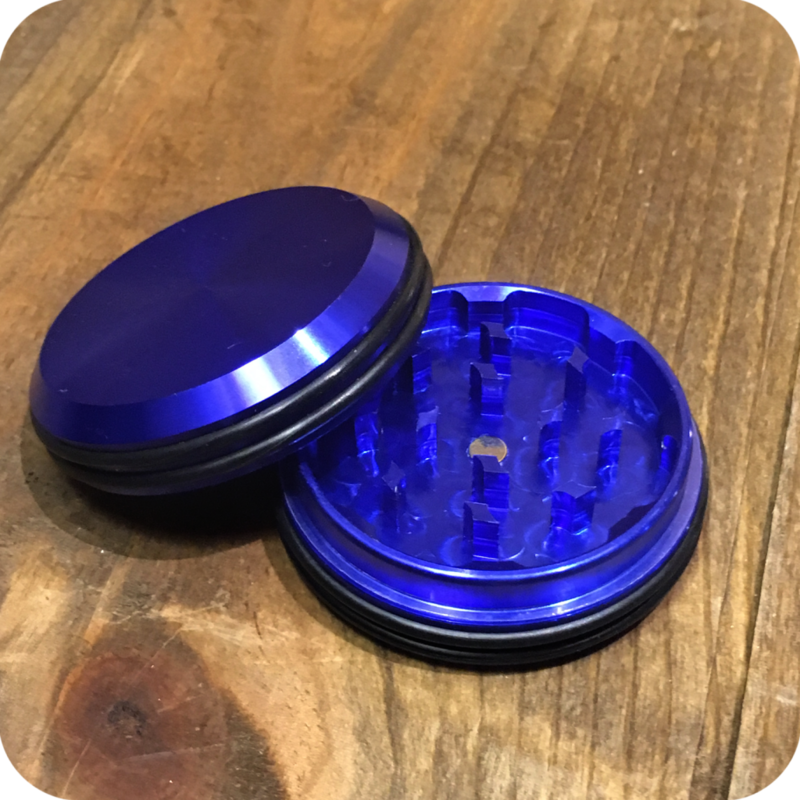 Just pack your legal herb into its razor sharp teeth, snap the magnetic lid on, and grind away just about anywhere. Its convenient magnetic lid promises easy openings and closings as well as security from spillage. 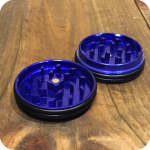 This grinder is perfect for slipping into your pocket, purse, or even fanny pack due to its flat and compact nature. You can really store this mini slim rubber metallic grinder just about anywhere because of its size. Most of all, you’ll never have to worry about putting a dent in this guy because of its rubber grips. 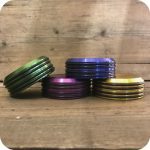 Finally a grinder for all you butter fingers out there! These mini metallic grinders come in a variety of colors, including different shades of metallic red, yellow, green, blue, purple or black. Please specify the color with your order. Tags: Brooklyn, brooklyn smoke shop, bushwick, bushwick smoke shop, Grinder, Metal Grinder, new york city, new york city smoke shop, nyc smoke shop, rubber grips, slim grinder, sunflower, Sunflower Glass Company, sunflower pipes, williamsburg, williamsburg smoke shop.